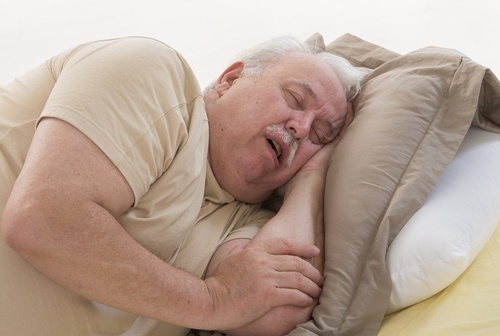 Age and Sleep Apnea: Does Age Affect The Prevalence of Sleep Apnea? Previously we discussed how not all patients with sleep apnea fit the typical profile of someone suffering from the sleep disorder. The notion that mostly middle aged, overweight men are the ones likely to develop sleep apnea is a misconception that often leads to misdiagnosis in atypical patients with sleep apnea. And while it's true that heavyset men over the age of 40 are the highest "at risk" group for having sleep apnea, it by no means is a comprehensive representation of all sleep apnea sufferers. For example, women with sleep apnea are often mistreated for other sleep disorders such as insomnia because many general practitioners hold tight to the belief that women aren't as likely to have sleep apnea as men. Here we hope to shed light on how age plays a role in the development of sleep apnea, and symptoms, diagnosis, and treatments that my differ based on a patient's age.